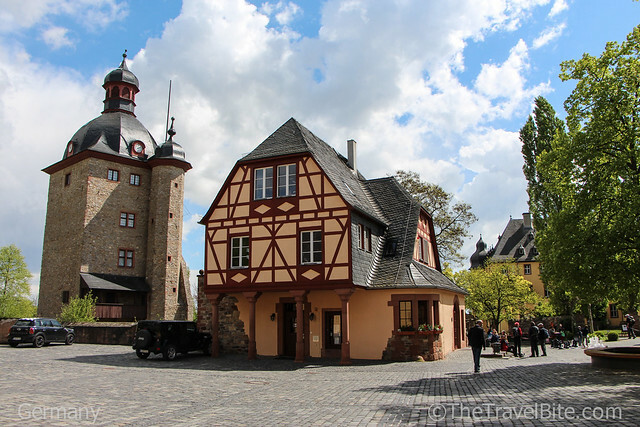 If you’ve ever wanted to travel through a wine region with rolling green hills along a riverbank and quaint storybook villages surrounding ancient churches and castles, then Germany’s Rheingau wine region is for you. 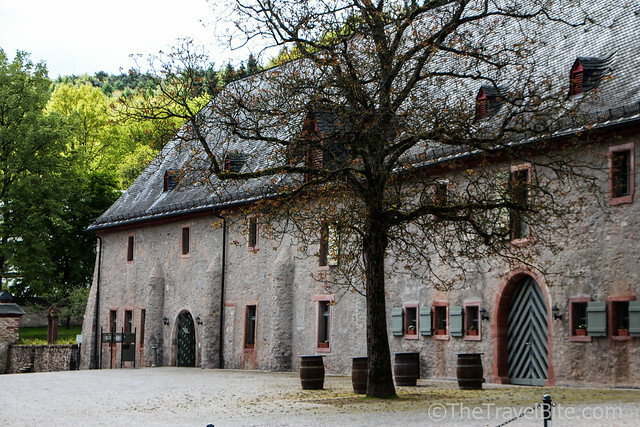 While wine production here is small, you’ll discover some of Germany’s most historically important wine makers along the Rhine River. 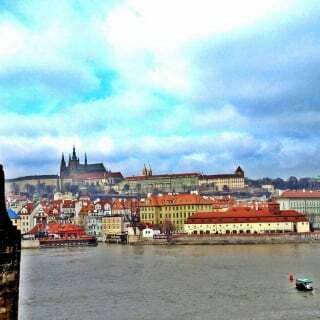 There is plenty to see and do and certainly enough to fill up an entire vacation, but if you go, here are three places that should be at the top of your list to visit. 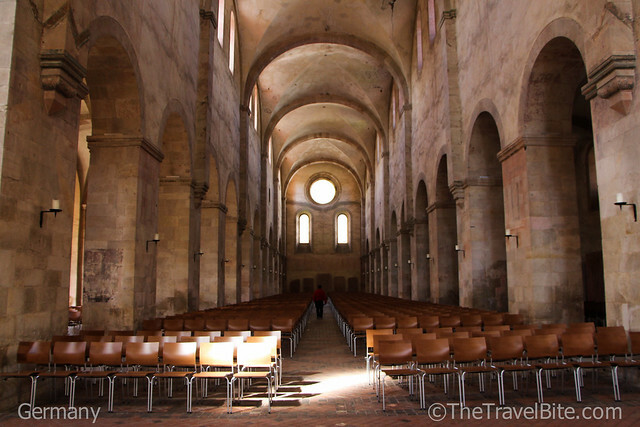 This impressive Romanesque monastery was built around 1136 by Cistercian monks and it’s name literally translates to “boar and creek,” which you’ll see a depiction of on their crest. 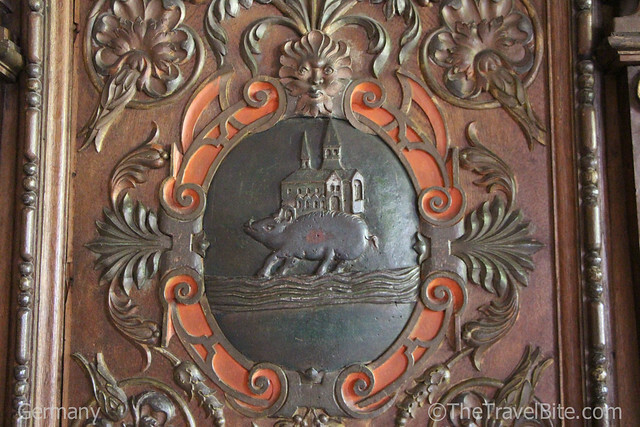 It is said that the monks, startled by a boar jumping out of the reeds and over the creek, saw this as a sign to build a monastery in this location. Personally, I think the crest makes an awesome beer label. And thankfully, in addition to wine, they also make some pretty tasty beer. 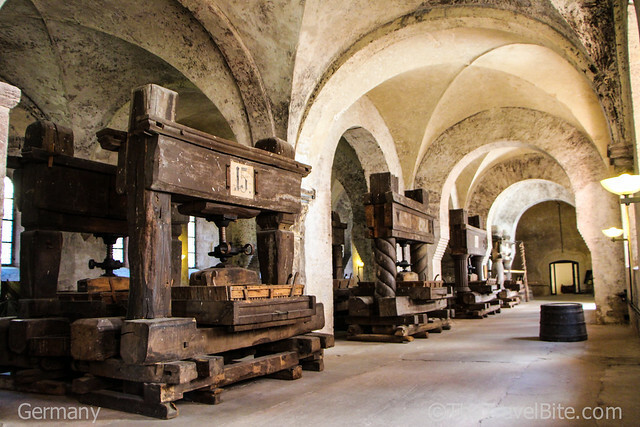 One of the coolest things to see here are the historic wine presses. There’s a row of these huge, medieval-looking contraptions gathered in a hall and it’s fascinating to imagine what it must have been like here during a grape harvest. 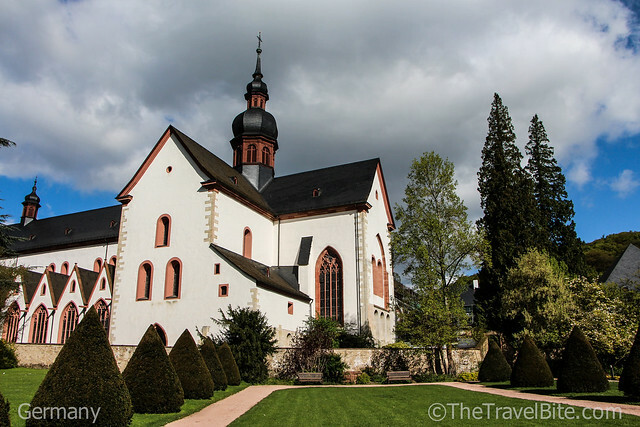 In addition to the wine presses, the architecture of the church is awe inspiring with amazing acoustics that make it a great place to visit during the Rheingau Music Festival. Wine has been cultivated here since 817, making it the world’s first Riesling winery and home to the famous Schloss Johannisberger Riesling. What’s fascinating is that they’re credited with discovering late harvest “Spätlese” wine quite by accident when, in 1775, the messenger with the permit to begin harvesting was late. Talk about having a mistake end with a pleasant surprise! 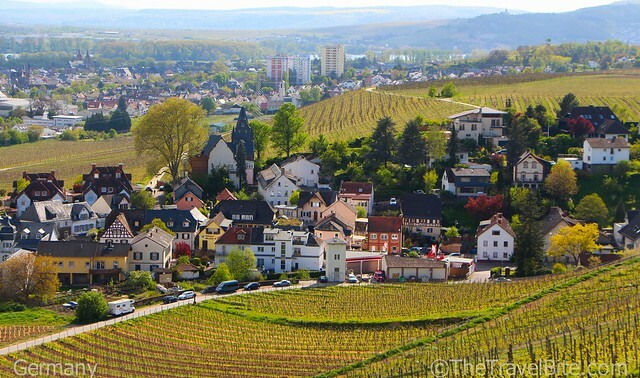 Not only will you be delighted with the wine tastings here, but you’ll also be dazzled by the sloping views of the Rhine river and surrounding villages. This 14th Century estate surrounded by a lush vineyard and wooded landscape has a bittersweet and tragic history. It was the longest continually family-run wine estate in Germany, nurtured by the Greiffenclau family for nearly 800 years. After not being able to navigate the estate out of debt, the last family owner committed suicide when faced with bankruptcy in the 1990s. 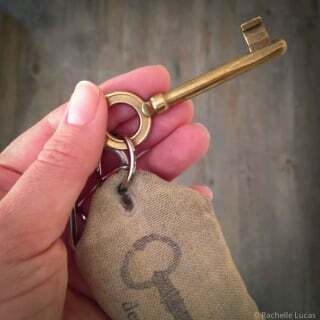 The bank took possession of the property, and rather than dividing it up and selling it, they decided to hold onto the vineyards and castle, maintaining it for the sake of posterity. For visitors, the estate is gloriously beautiful, a popular place for weddings and events. They make a fabulous dry Riesling and use an elegant Vinolok glass stopper instead of a cork. 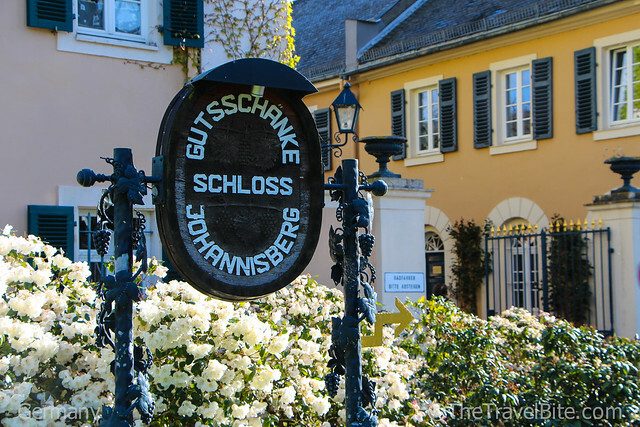 Want to see more photos from the Rheingau Wine Region? Check out my album on Flickr. Disclosure: Part of my trip to Germany was sponsored by the German Tourism Board. As always, thoughts, opinions, and enthusiasm for travel, food, and wine are entirely my own. I have only visited one castle and it was impressive, this posts makes me think I need to head back and visit more – particularly if I can do some wine tasting as well! I absolutely love Germany and hope to go back there some day. On my last trip I was able to explore Munich for a few days. I would really like to explore the wine region and some of the castles. I know that my husband would really enjoy going there. What’s not to like?! Oh my! We are actually going to Germany this summer and I’m happy to add this to my list! This isn’t a region I know well at all. Since I live in France, visiting Germany should be something I do often… it’s a beautiful country with an amazing history and traditions that have survived. 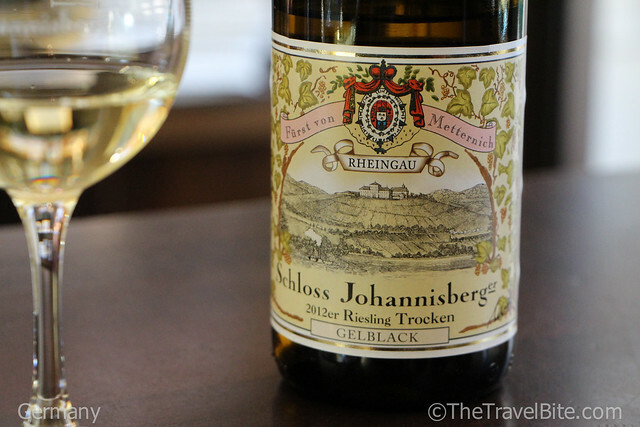 Thanks for sharing the Rheingau region! 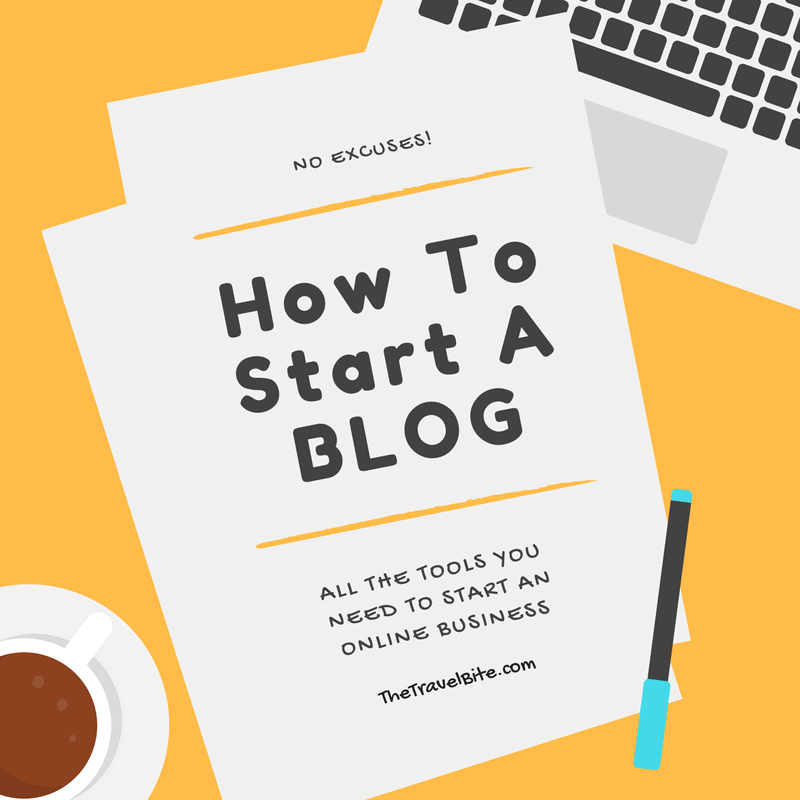 Hi Rachelle, I have enjoyed reading your post. 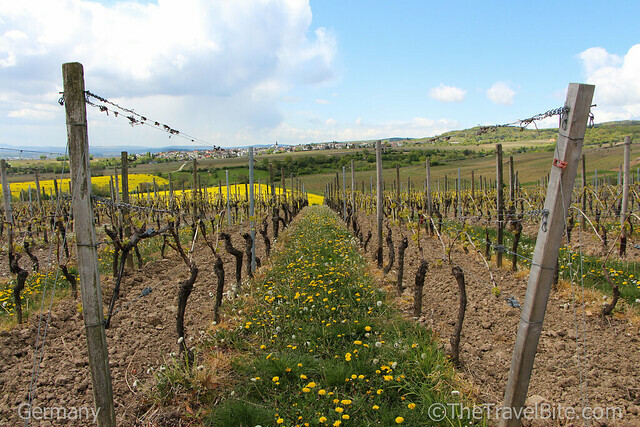 Liked all the photos shared and Love to know about the Rheingau Wine Region. Thanks a lot for sharing valuable information with us. Keep Sharing. If it involves wine, I’m ready to hop on a plane for a visit! 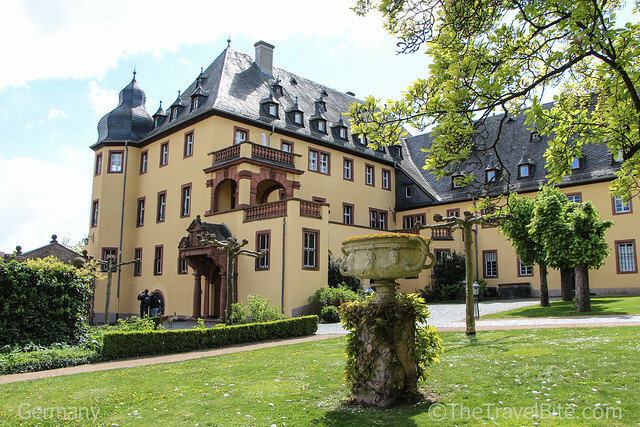 I’ve been to Germany a number of times of short visits, but had my first immersion into it with a week long trip around Northern Germany’s UNESCO sites, including a UNESCO protected wine that is thought to be the oldest in the world. 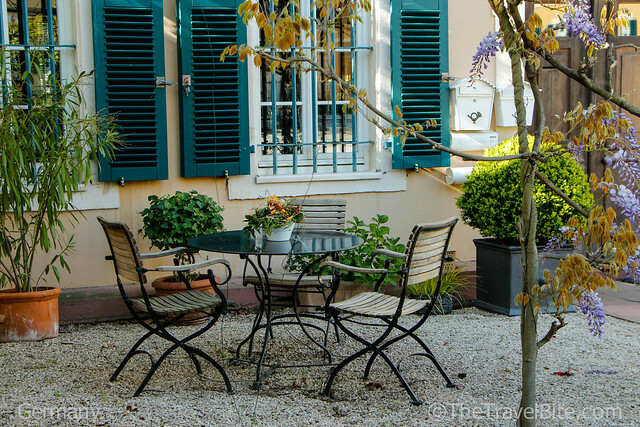 The trip really gave me a zest for Germany and I’d love to go back to spend time in the wine regions.